Lari White captured her Grammy-winning sound in this rich legacy archive of country singing lessons. Students have unlimited access to hundreds of video lessons, backing tracks, vocal training exercises and more. Learn how to sing from the late country artist. What makes these country singing lessons truly unique is that this is the only place online preserving the mastery and teaching legacy of the late country artist through the library of videos submitted by students using the ArtistWorks Video Exchange Learning® platform. Lari reviewed each submission and recorded a video response, offering specific guidance to the student to take their singing to the next level. All students can access the Video Exchange library and watch these interactions with Lari. This comprehensive archive combined with a library of guided, high quality video lessons, may contain the key to unlock your potential. 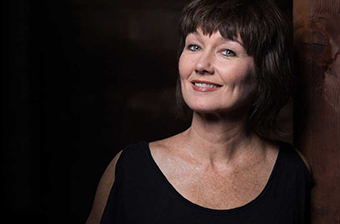 Industry veteran Lari White forged a wide-ranging career as a Grammy-winning recording artist, hit songwriter and history-making record producer. After earning an RIAA Gold album as a country artist, she became the first female producer of a male superstar, with Toby Keith’s platinum album White Trash with Money. Her Nashville recording studio, The Holler, was a favorite creative home for songwriters and musicians of all musical genres. Before her passing in January 2018, she starred on Broadway in the Johnny Cash Musical: Ring Of Fire, and had sung with numerous major symphonies. Lari taught with ArtistWorks from 2016 until her passing. Vocal Warm Ups - HA! HA! HA! Working with Players - Lari and Guthrie - "Love Right"
Working with Players - Lari and Guthrie - "Lay Around and Love on You"
Like a lot! My courses have exceeded my expectations . I love that I can practice at 12am. I have kids, so my time is limited. Having flexibility allows me to do so much more.